IF you were looking for confirmation that adaptation really is the key to survival, you need look no further than Aberdeen cocktail bar Orchid. The venue, which in November was named SLTN Cocktail Bar of the Year, in association with Bacardi Brown-Forman Brands, is, in the fast-moving world of mixology, practically an elder statesman. Founded in 2009 by Ben Iravani, Orchid has gone on to win numerous industry awards as a business, while its bartenders have secured many more in cocktail competitions. 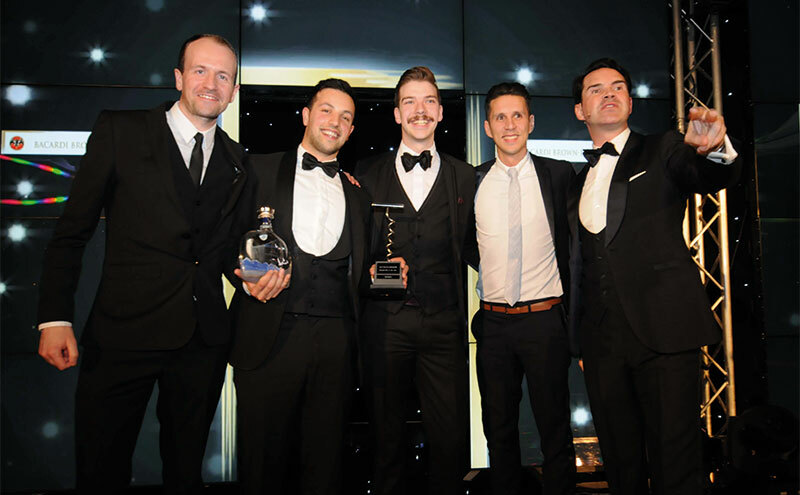 Former staff have gone on to work in celebrated cocktail bars elsewhere in the UK and overseas, and the company has launched its own craft gin, Porter’s – recently recruiting award-winning London bartender Jack Wareing as brand ambassador. 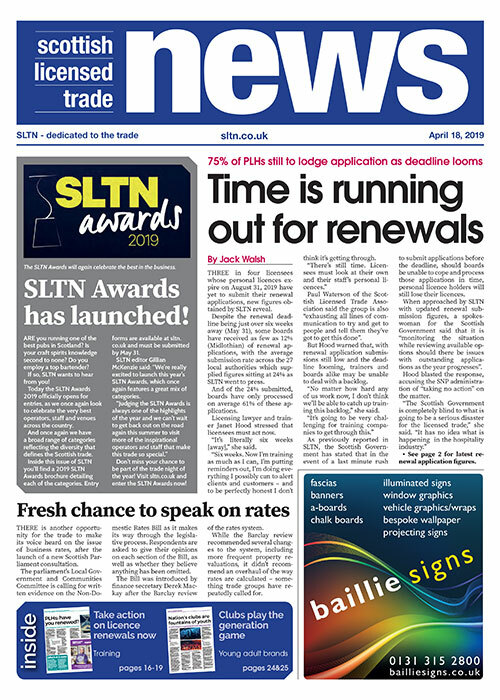 Speaking to SLTN Iravani said the secret to the bar’s success lies in the fact that its team are also squarely within its target audience. We’re part of our target audience, which helps. We know what we like. “We’re part of our target audience, which helps,” he said. Recently this has involved a shift towards what Iravani described as “casual quality”. Changes have included a shift from DJs to live music, which Iravani said has created a more relaxing environment in the venue, as the team looks to provide “top quality drinks, but in a relaxed atmosphere”. “There’s a lot less pretence about cocktails than there used to be,” he said. As well as removing some of the formality from cocktails, Iravani said this growing interest in, and knowledge of, cocktails has started to shift customers towards neater, “less embellished” styles of serve, while bartenders’ favourites such as the Negroni become household names. And in terms of spirits, gin remains a huge favourite – something Orchid will continue to capitalise on through its drinks lists and its ties to Porter’s. A space beneath the bar is currently being converted into the home of Porter’s, with kit that will allow bartenders to experiment with different recipes and flavours. Meanwhile, Wareing will be promoting the brand internationally, appearing at cocktail events in Amsterdam, Singapore and New York as well as Edinburgh when Tales on Tour returns to the city in April. “He (Wareing) is a really nice, approachable guy,” said Iravani. 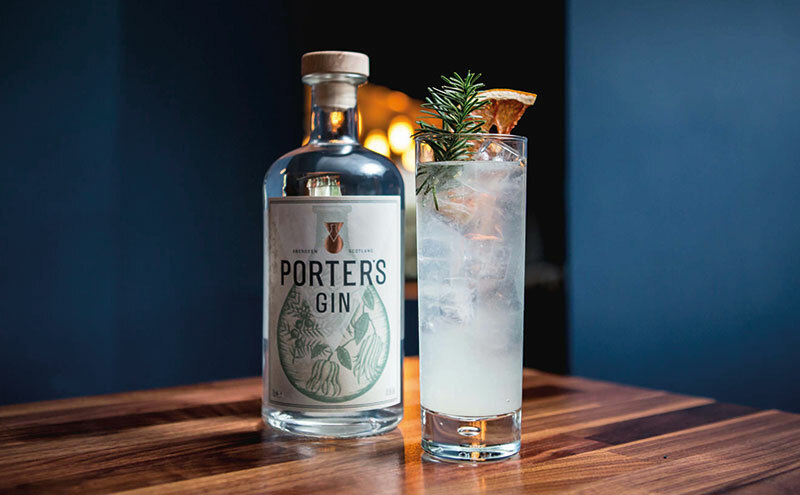 As well as being a business venture in itself, the Porter’s project is part of a wider goal to raise the profile of Orchid, sister bar Ninety-Nine – and the wider Scottish cocktail community – overseas. Iravani lauded other Scottish cocktail bars, such as Edinburgh’s Bramble and Panda & Sons, that have made a name on the world stage through cocktail competitions. And he reckoned there is a huge opportunity to attract visitors – both tourists and bartenders – to Scotland by continuing to develop the country’s growing reputation for quality cocktails. “Our overall goal is to be able to bring members of the international cocktail community to Aberdeen, to work with us in our facility underneath the bar and to have strength in the global cocktail scene,” said Iravani.